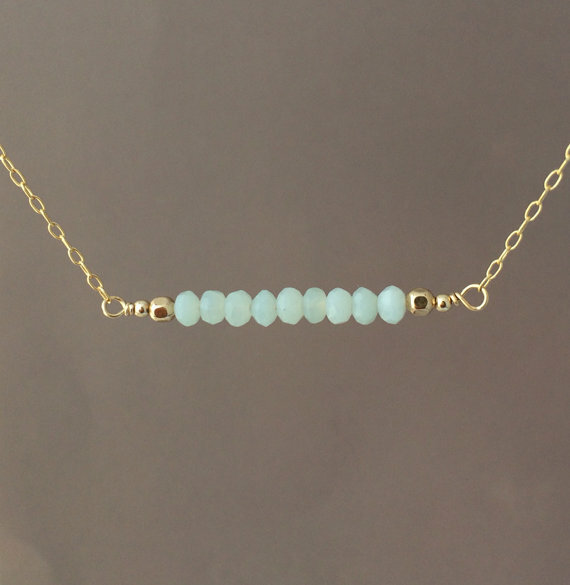 Amazonite stones line up to measure an inch and hangs between a 14k gold fill, 14k rose gold fill, or sterling silver chain. 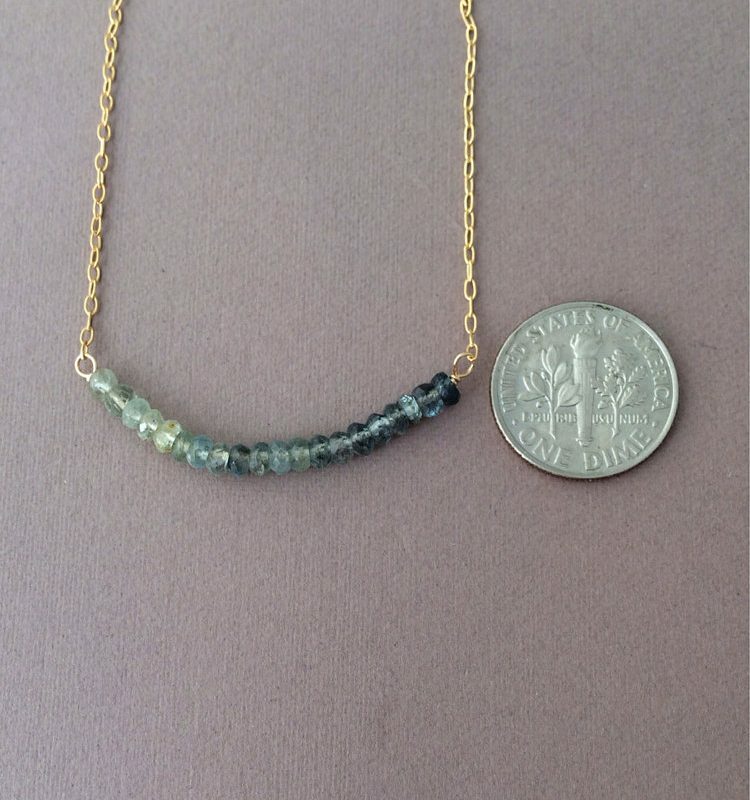 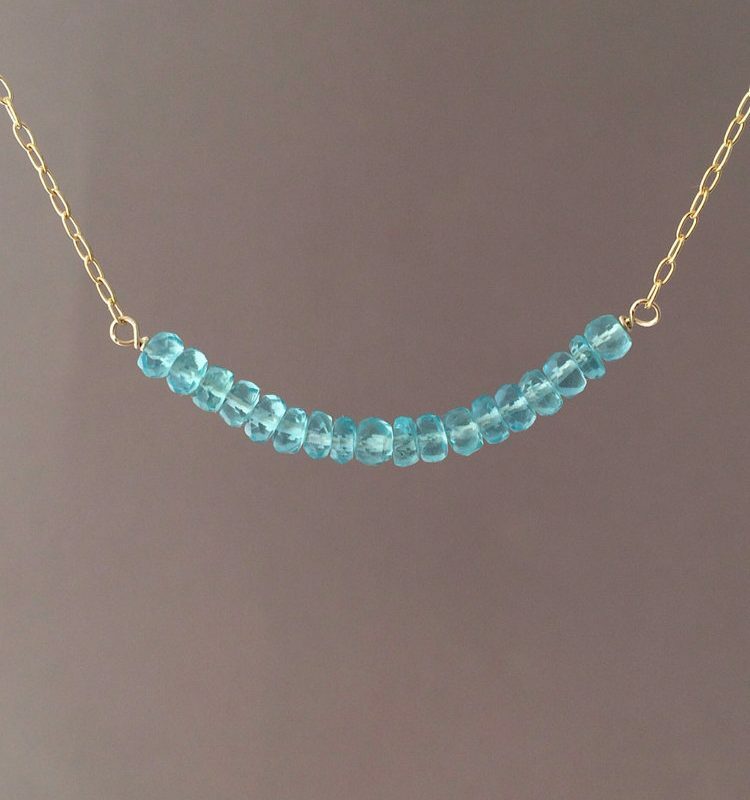 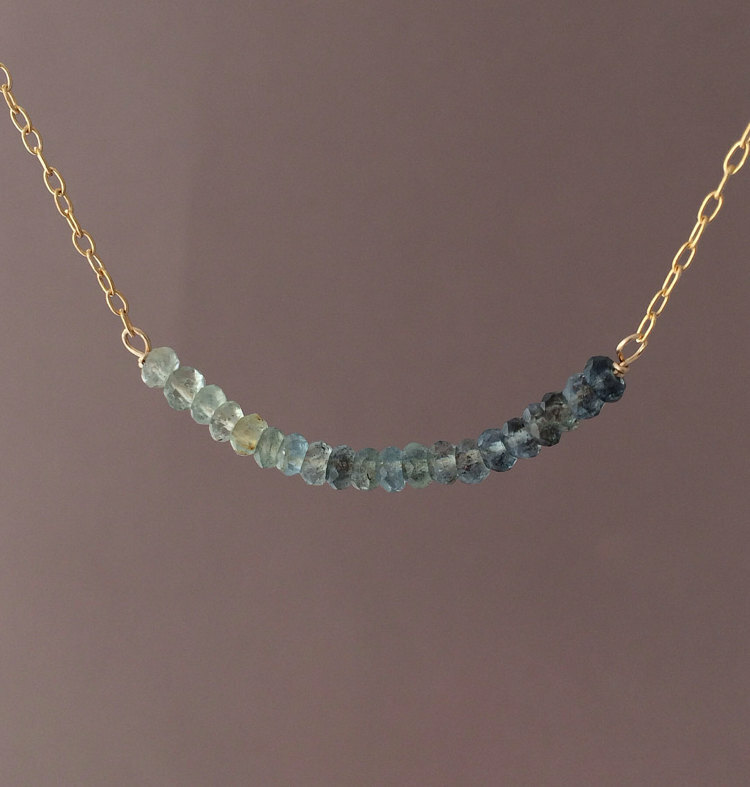 Blue apatite stones line up in a row and hang on a 14k gold fill, 14k rose gold fill, or sterling silver chain. 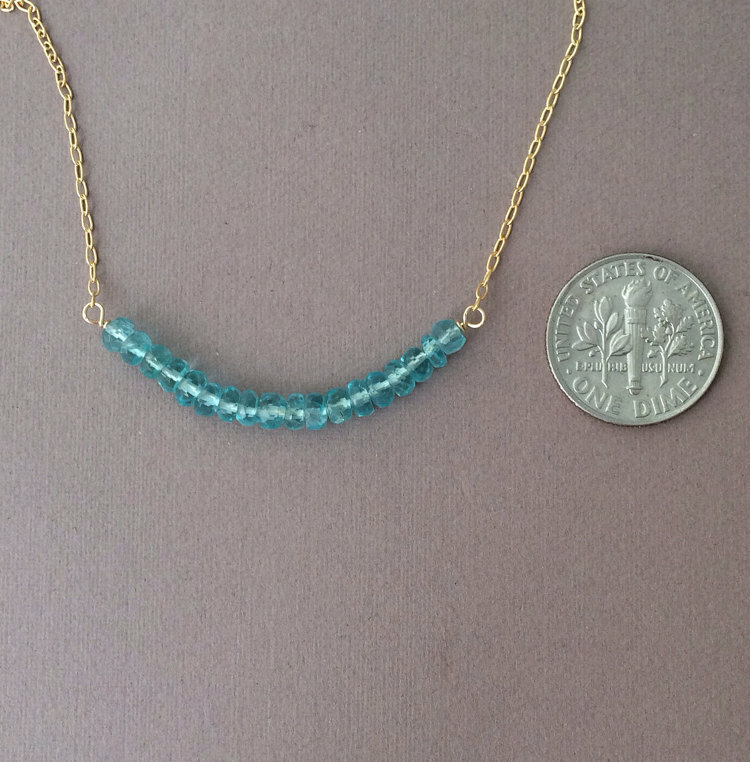 Beads line up to measure approx 1.5 inches in width. 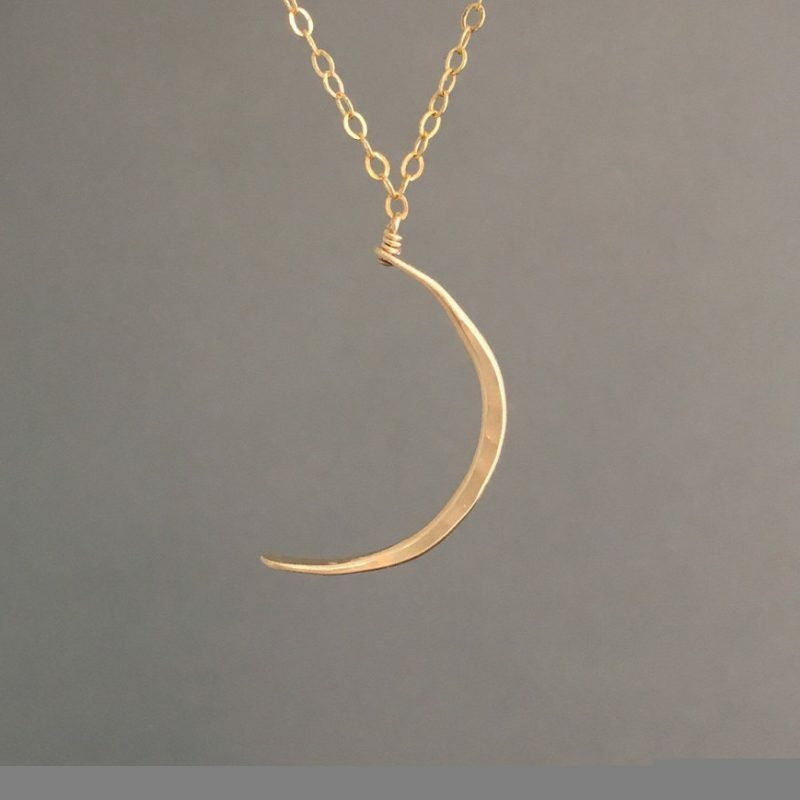 Moon is hand forged and hammered and hangs between a 14k gold fill, 14k rose gold fill, or sterling silver chain. 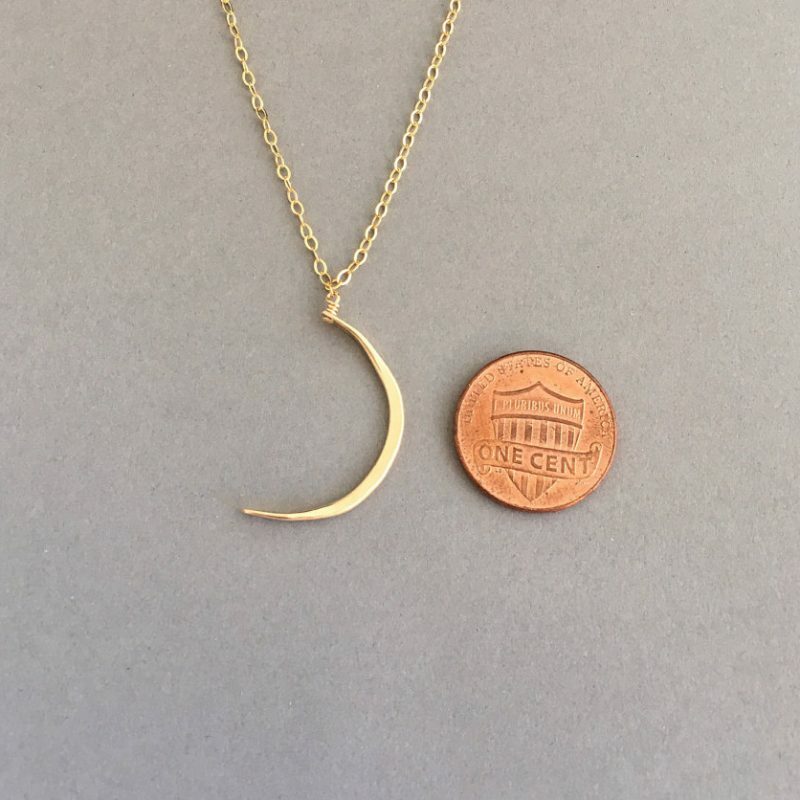 Moon measures 1 inch in length. 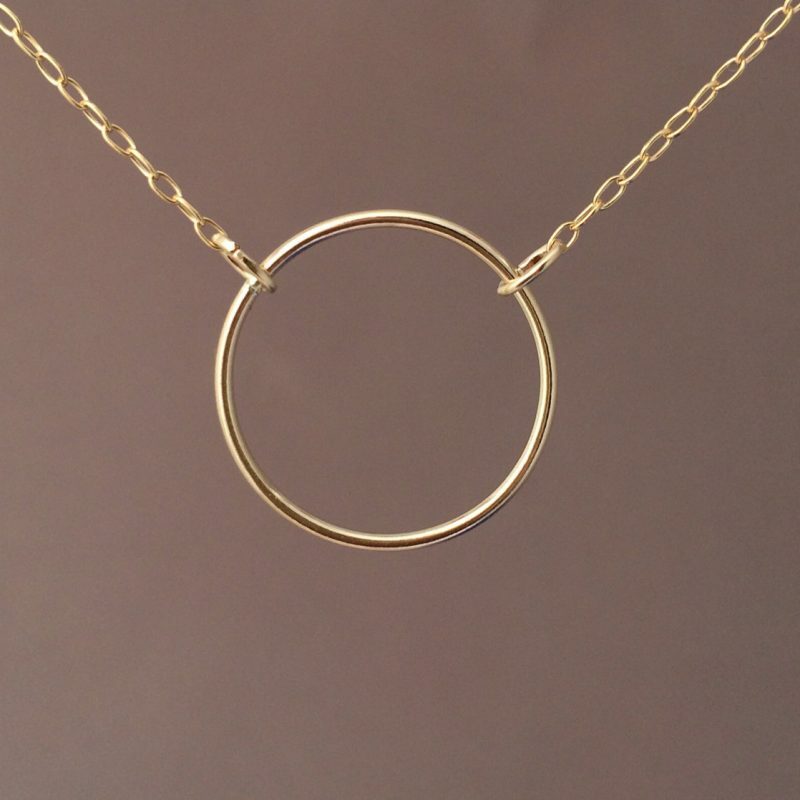 14k gold fill or sterling silver chain is double layered. 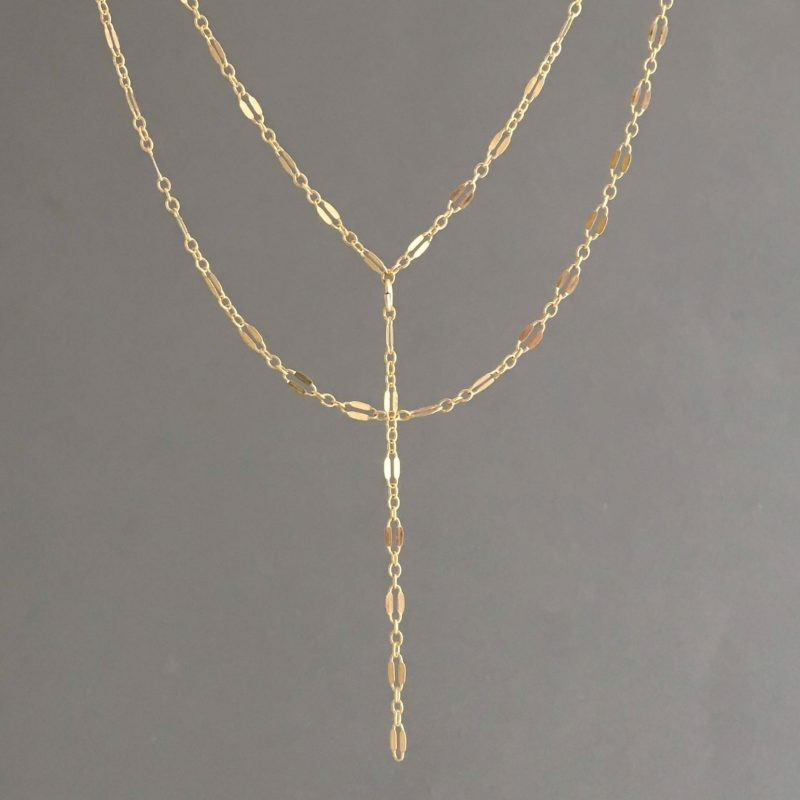 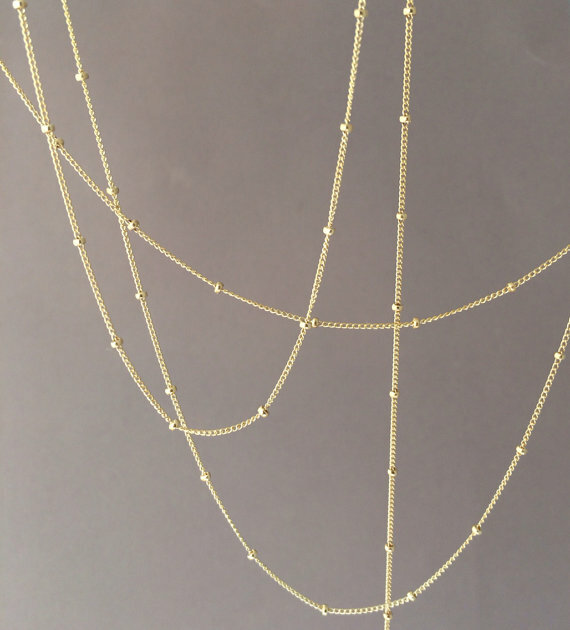 The shorter strand necklace is the Y lariat and the drop of the chain measures 2 and 3/8 inches long. 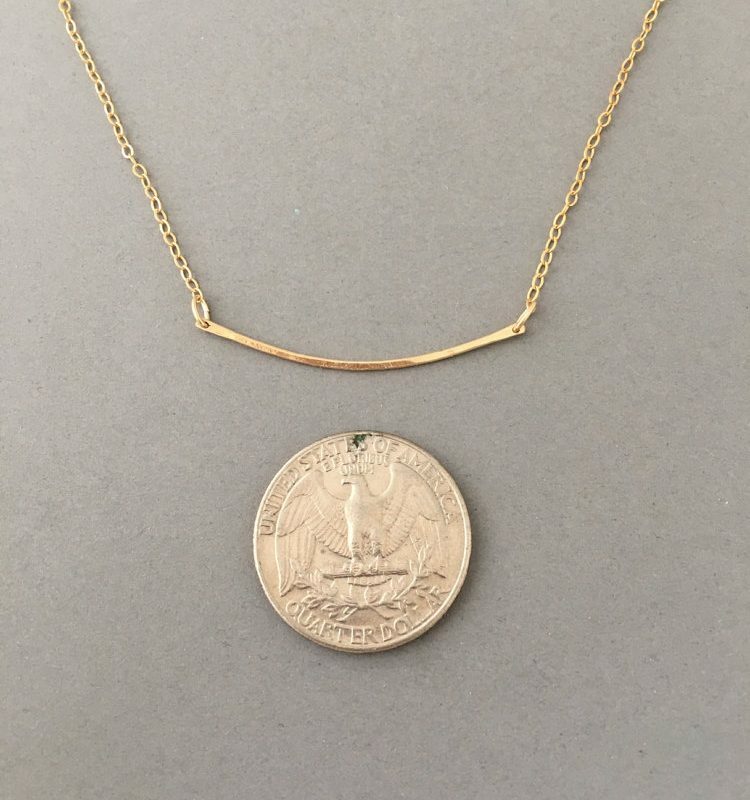 If you want a shorter or longer drop length, let me know in the comment section. 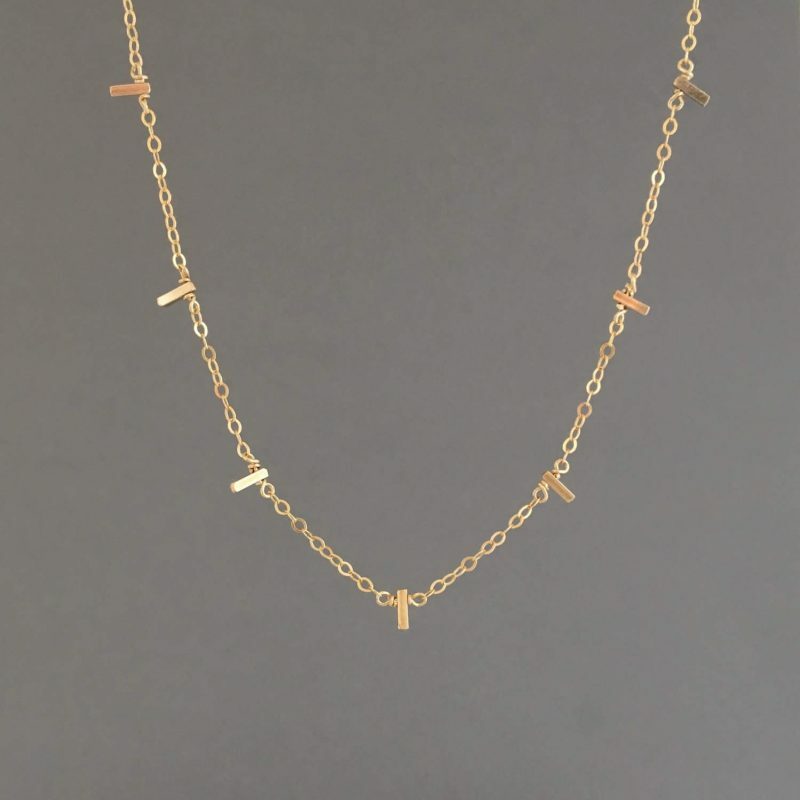 The selection of chain you choose will be the shorter necklace. 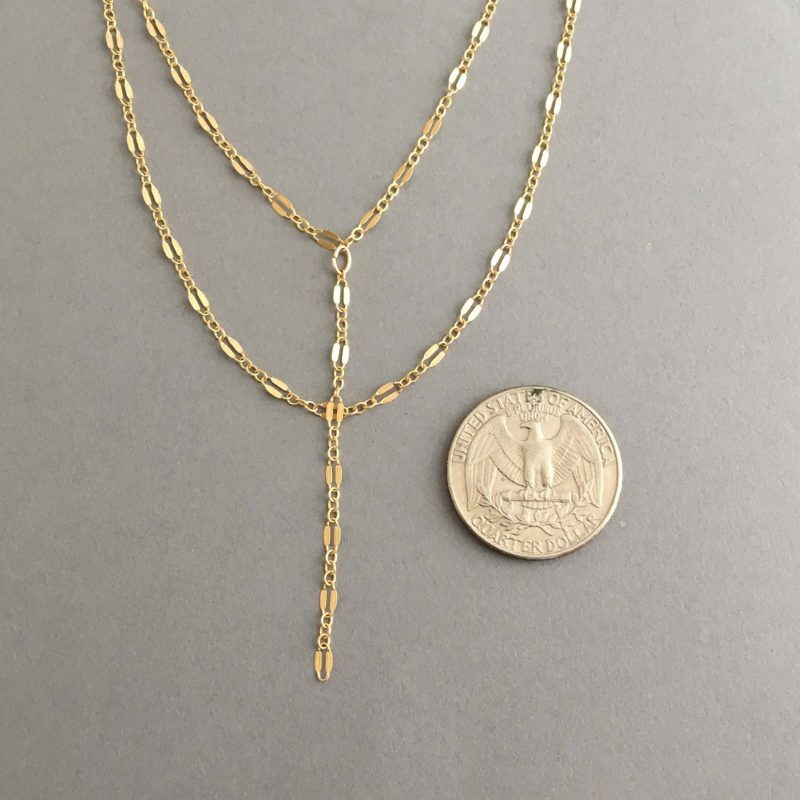 The second necklace is 2 inches longer. 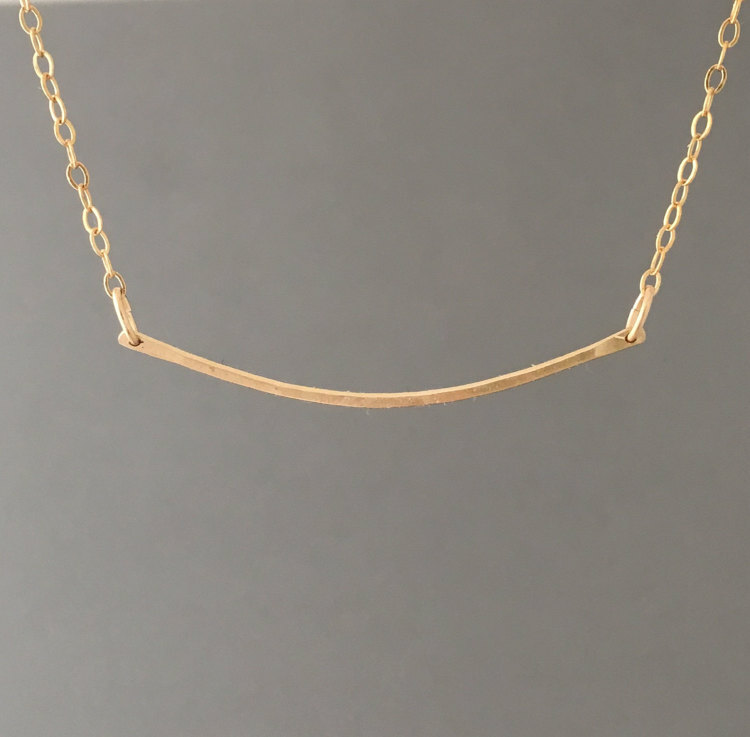 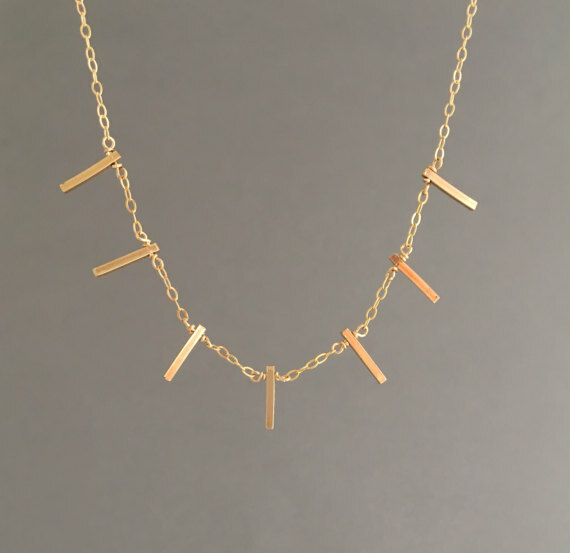 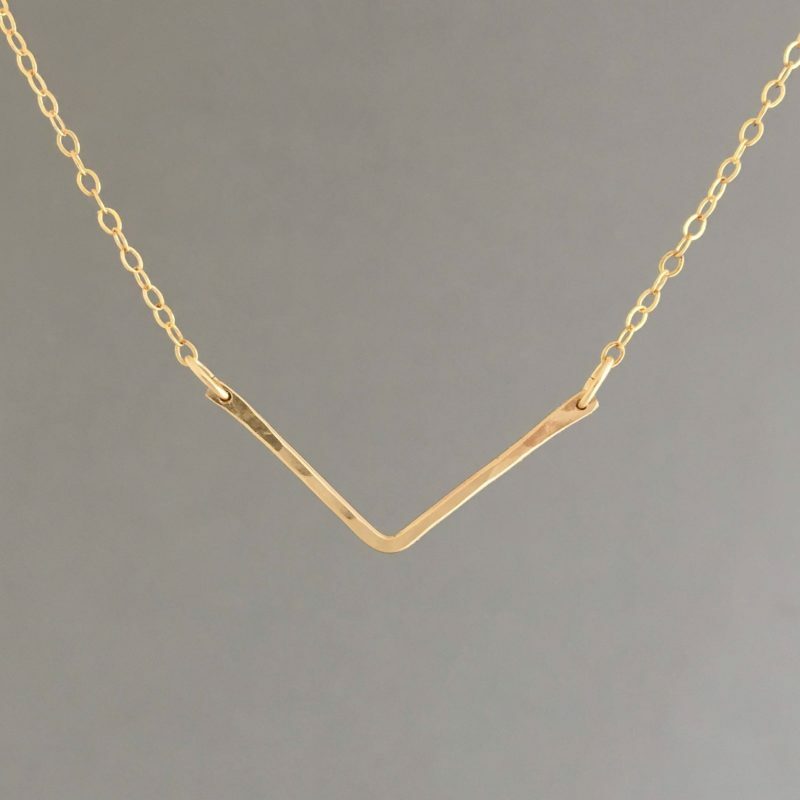 Bar is hammered and hangs between a 14k gold fill, 14k rose gold fill, or sterling silver chain. 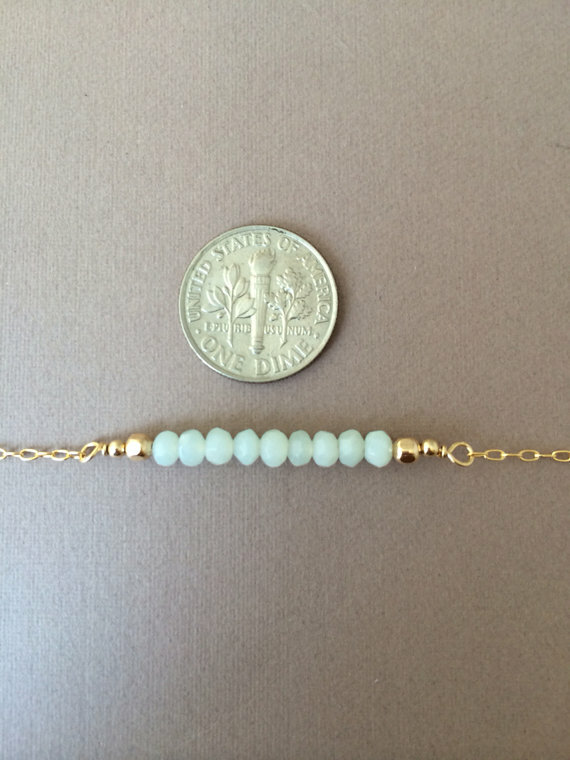 Wire measures approximately 1.5 inches in width. 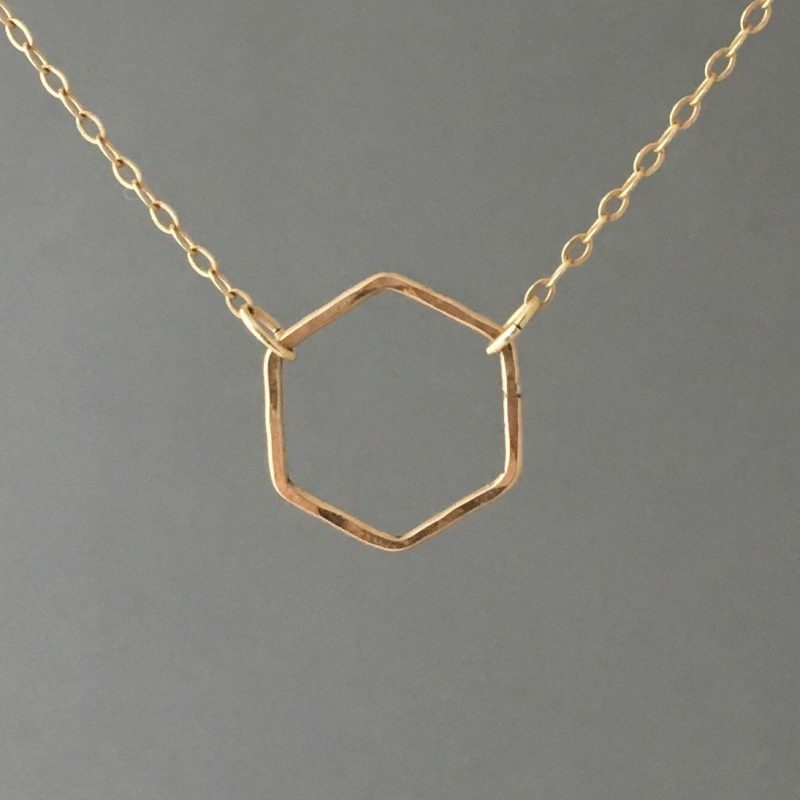 Hexagon pendant hangs between a fine chain. 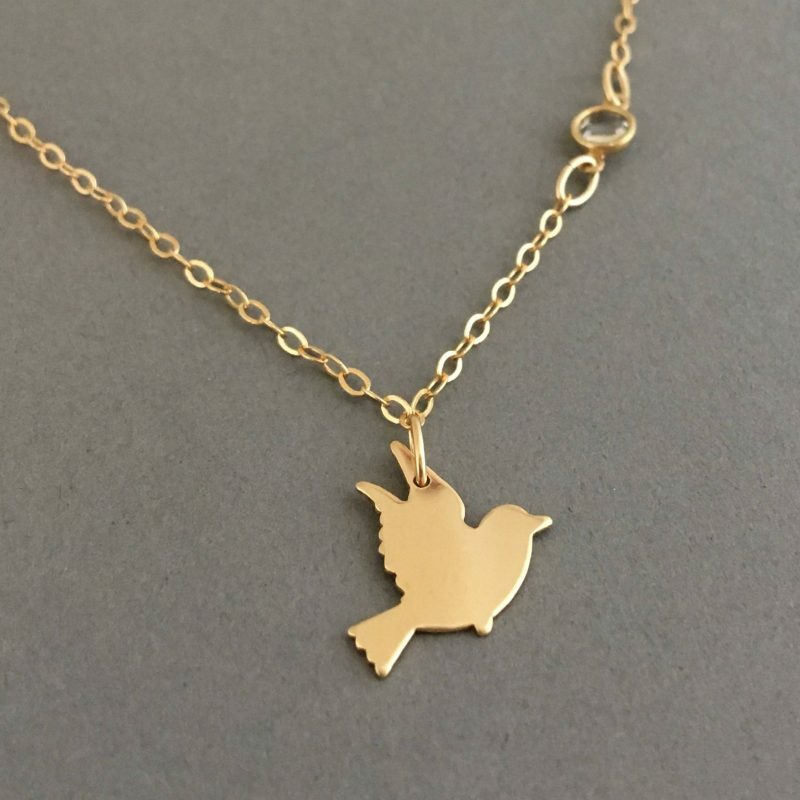 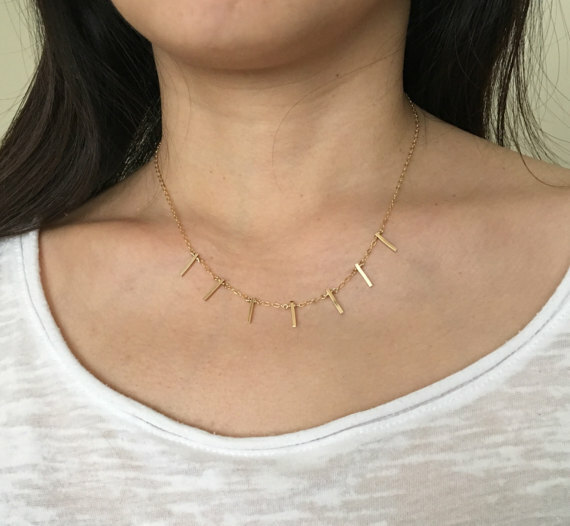 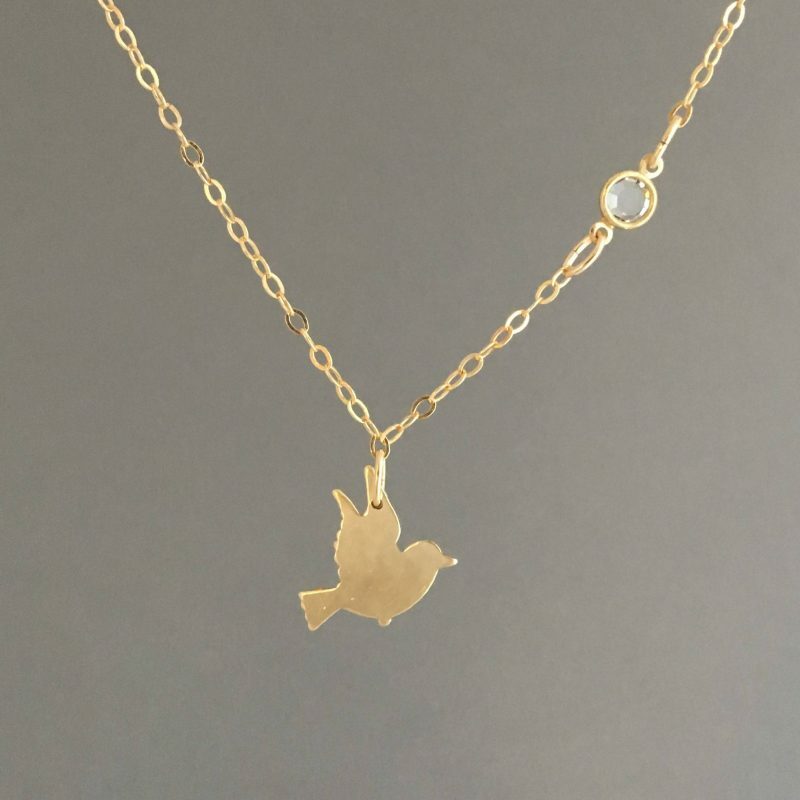 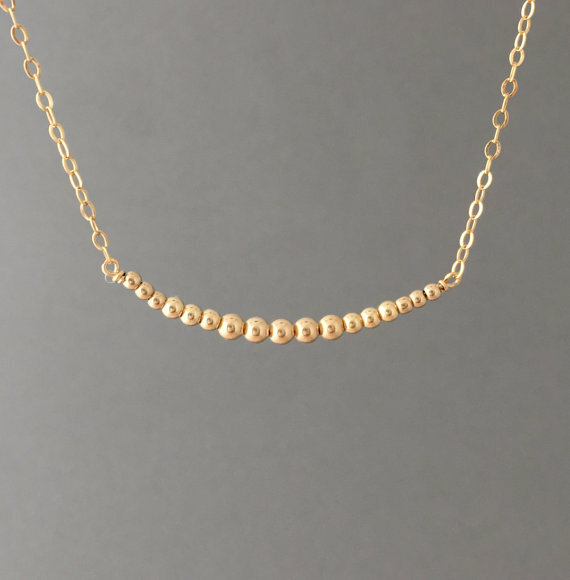 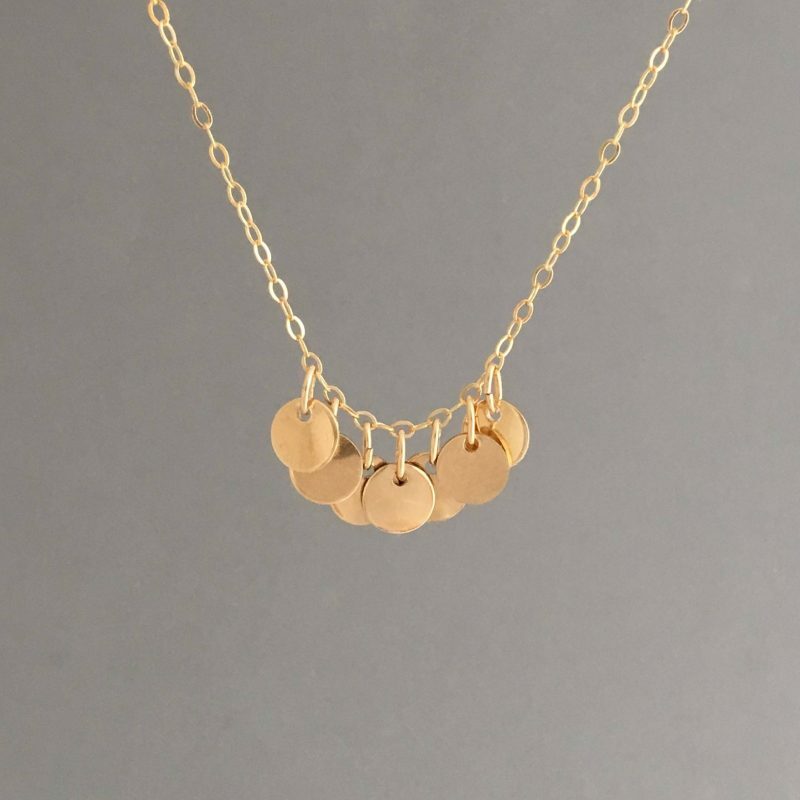 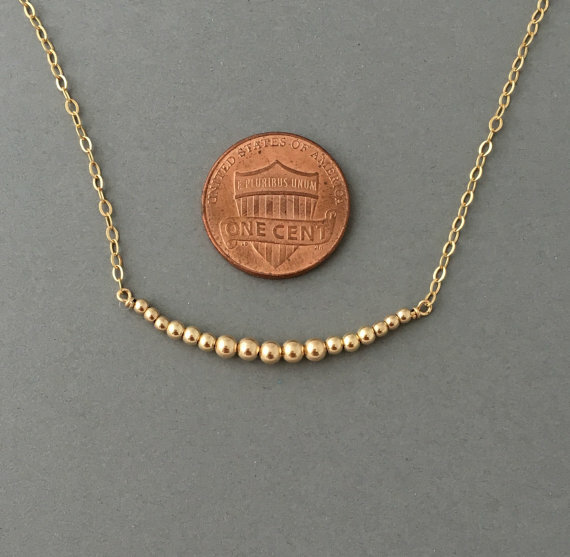 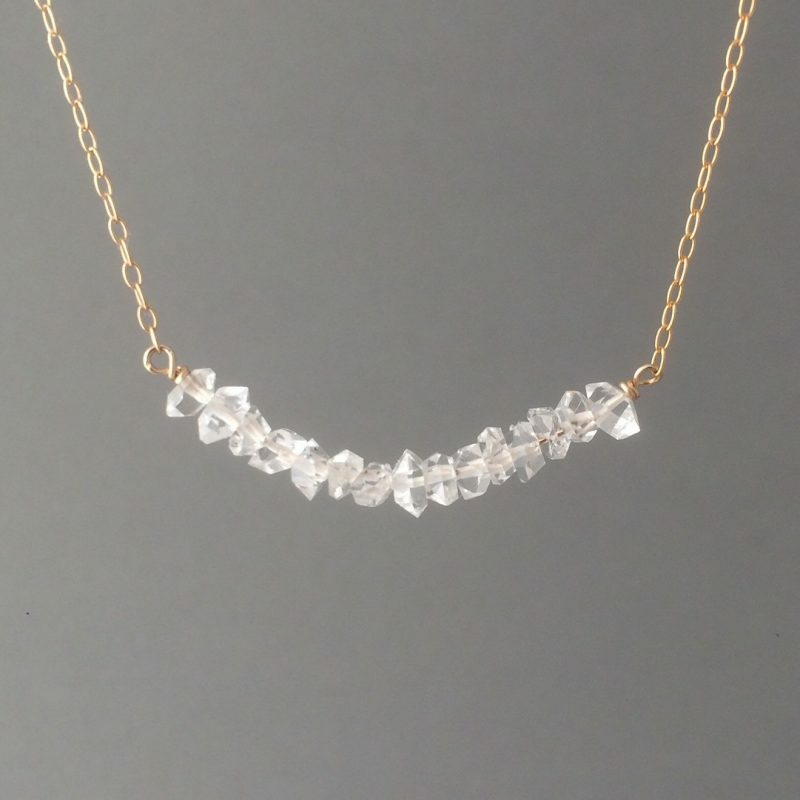 The whole necklace is made of 14k Gold Fill, Sterling Silver, or 14k Rose Gold Fill. 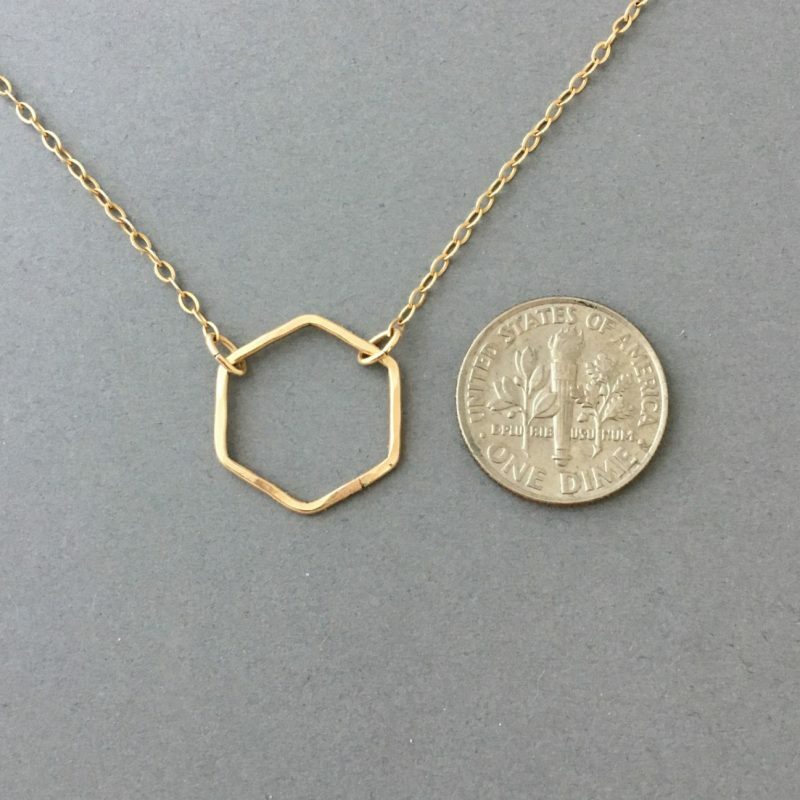 Pendant measures 3/4ths of an inch in width. 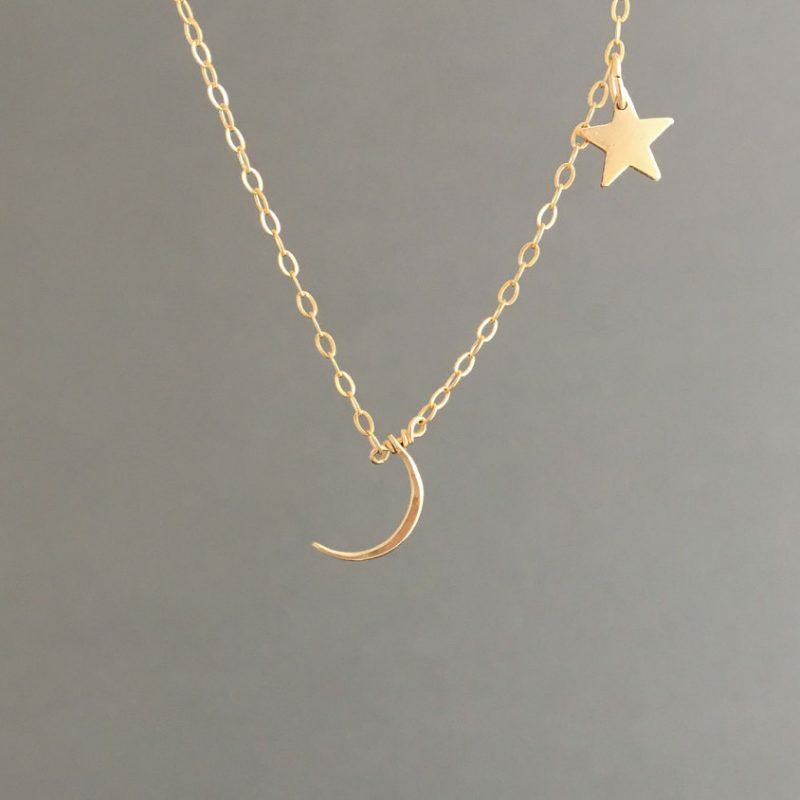 Lightly hammered 14k gold fill moon and star hangs on a 14k gold fill chain. 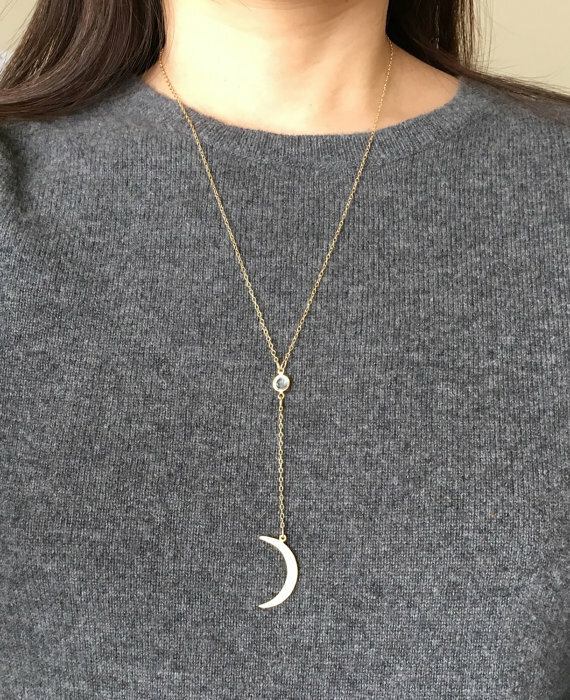 Moon measures 3/8ths of in inch in length. 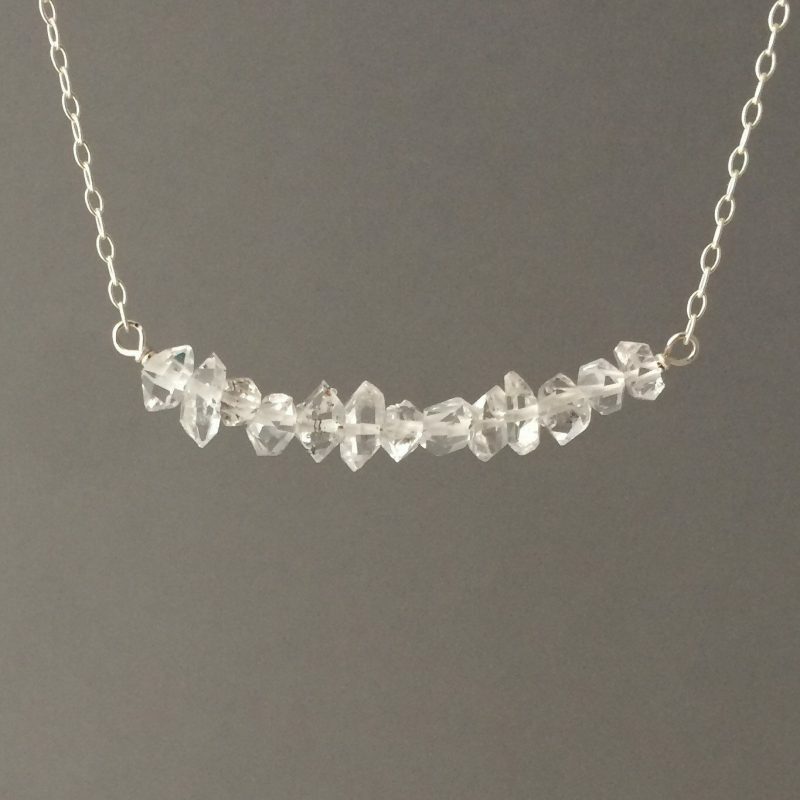 Also in sterling silver. 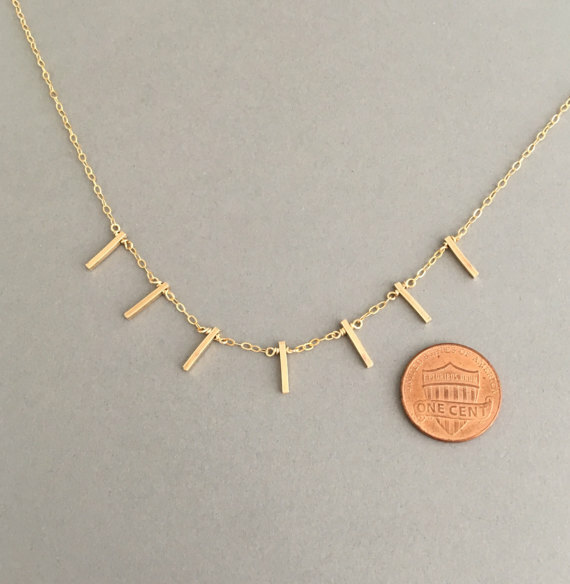 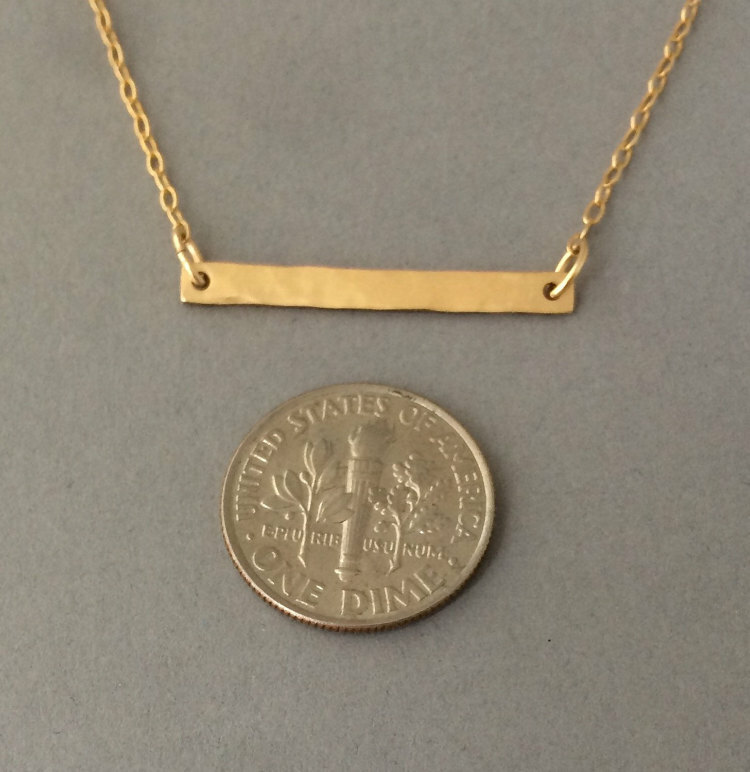 7 tiny bars hang on a 14k gold fill, 14k rose gold fill, or sterling silver chain. 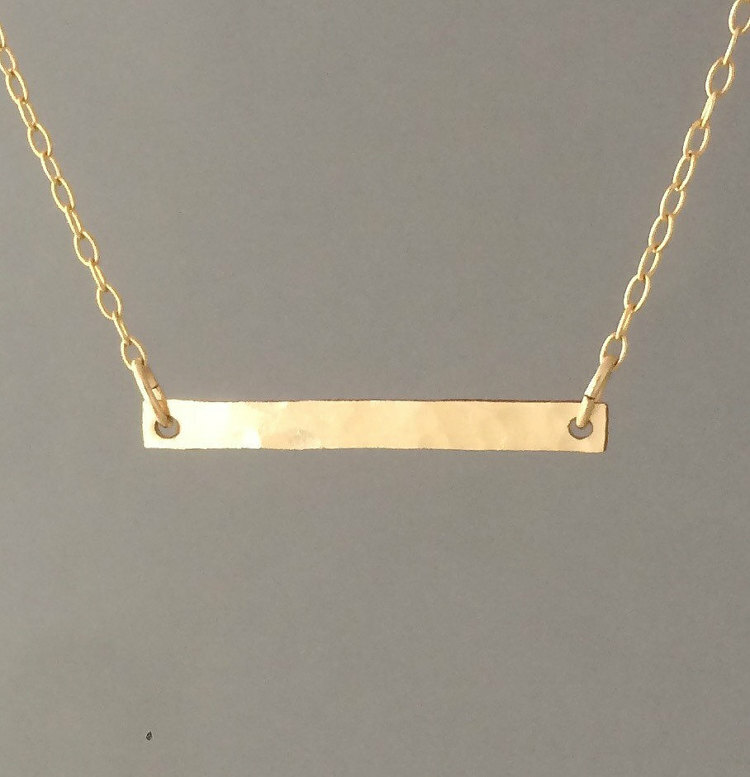 Bar measures 5 cm in length. 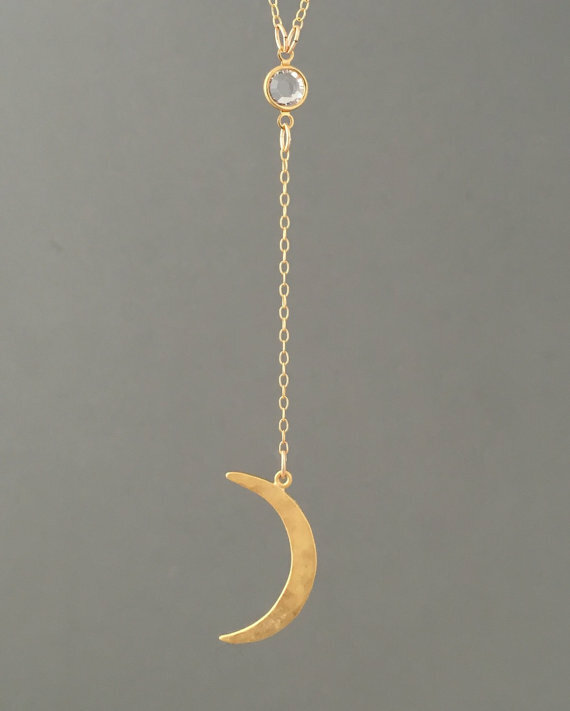 Crescent moon dangles from a swarovski crystal suspended on a 14k gold fill or sterling silver chain. 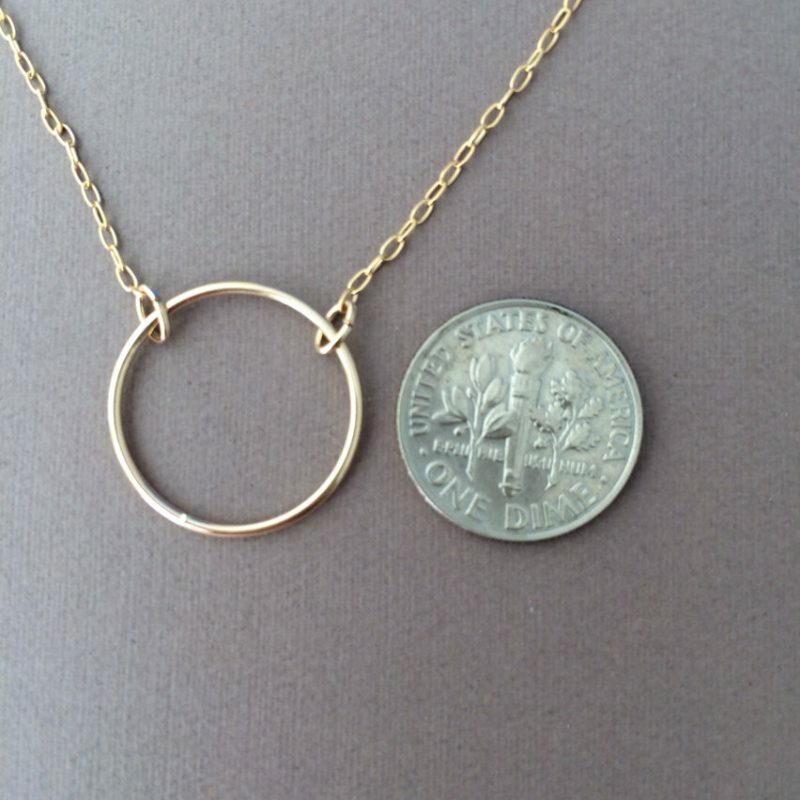 The drop of the chain and moon measure 3.5 inches. 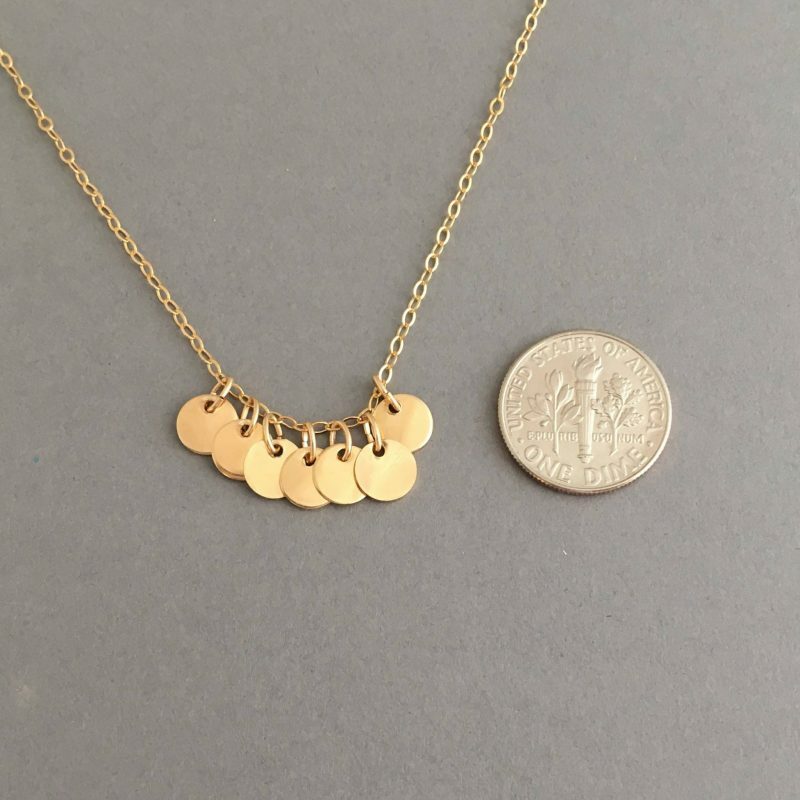 If you want a shorter or longer drop length, let me know in the comment section. 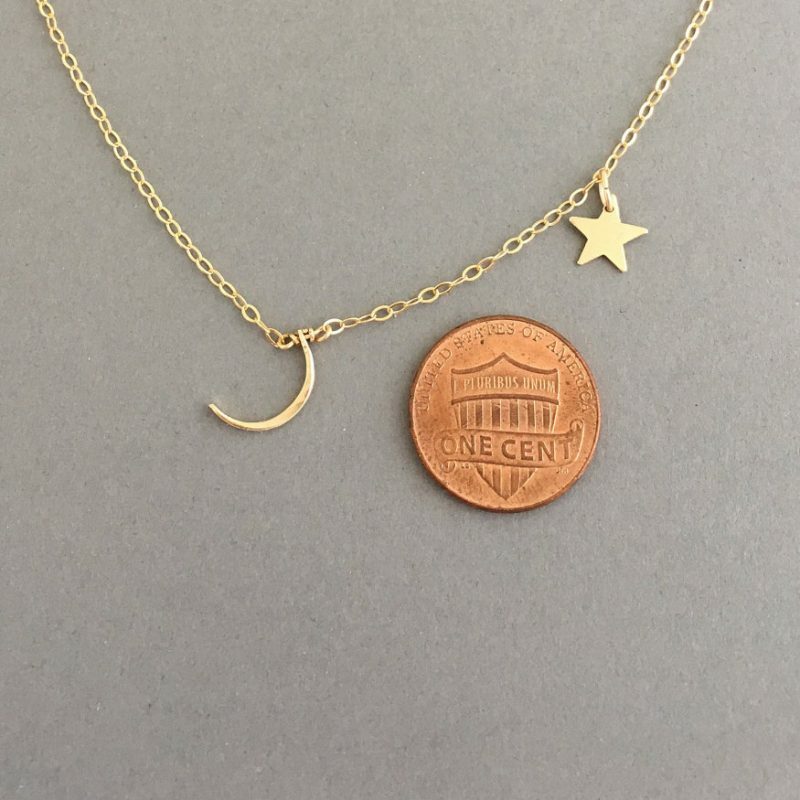 Moon is gold plated or sterling silver and measures 1 inch in length. 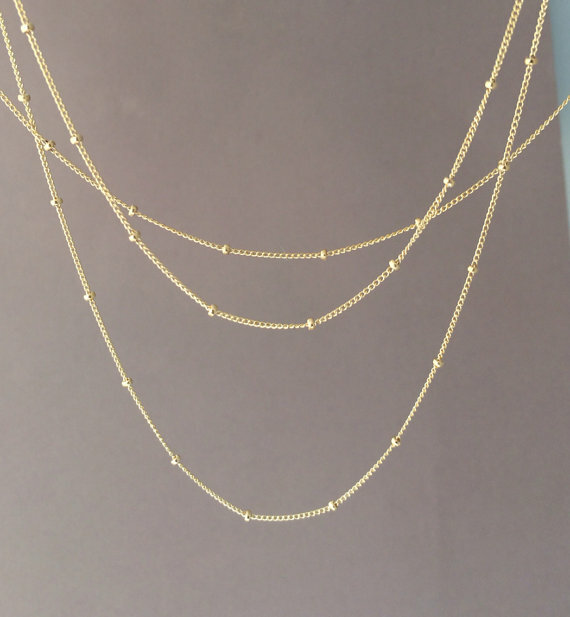 When you choose the length of necklace, the drop chain is not included in the measurement. 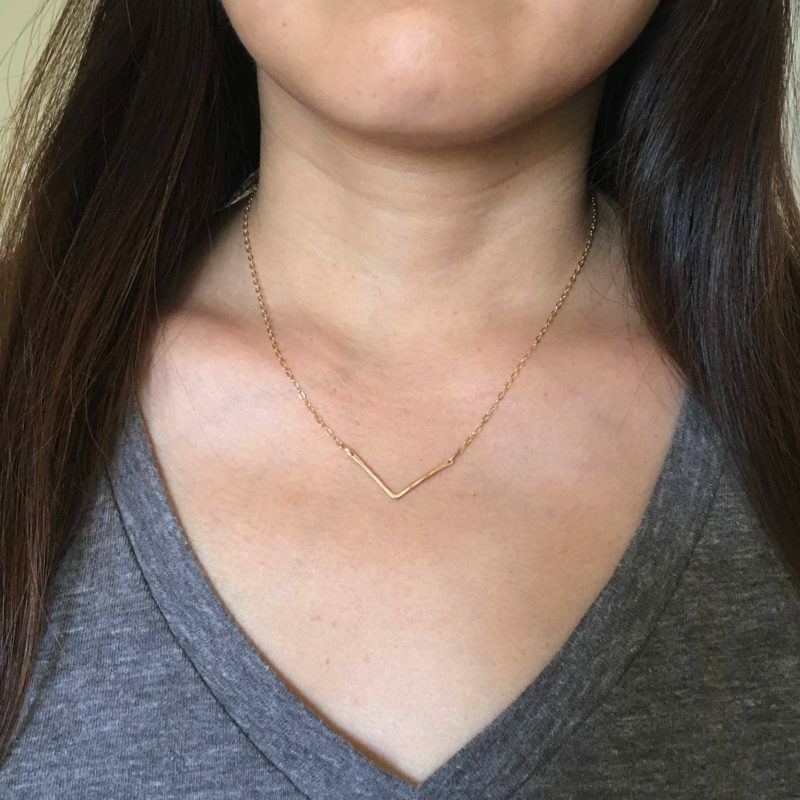 I am wearing the 22 inch length in the photo and have a 12 inch neck circumference.